Football season is here and that means tons of us will be throwing parties or need some ideas to support our favorite teams. Whether you love it or hate it, you’ll enjoy these quirky crafts that are perfect for the next time you watch a game. 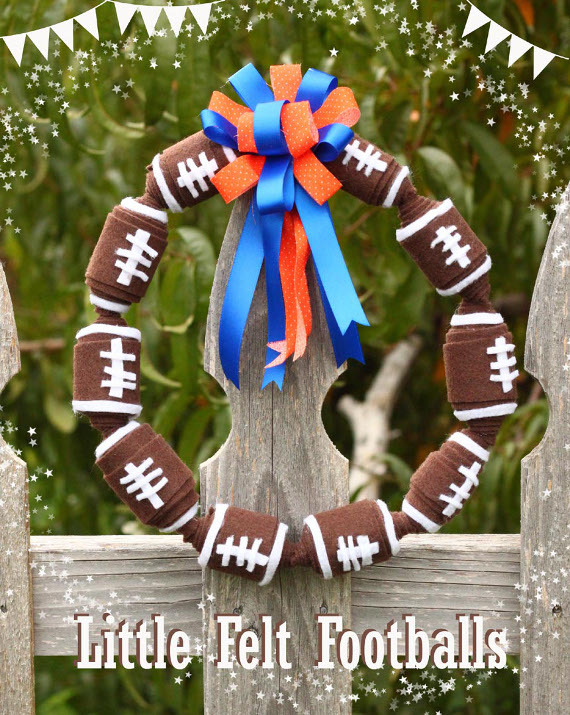 Make a garland or a wreath of these cute and easy felt footballs. Don’t forget the ribbon in your team’s favorite colors to really show off your football spirit! This entry was posted in Craft Trends, Crafts, Fall, Holidays & Seasons, Parties and tagged Football, Party Decor, Sports on September 17, 2016 by Joselyn.